Inside the house on the Clandeboye estate, which is the home to Lady Dufferin, Marchioness of Dufferin and Ava. 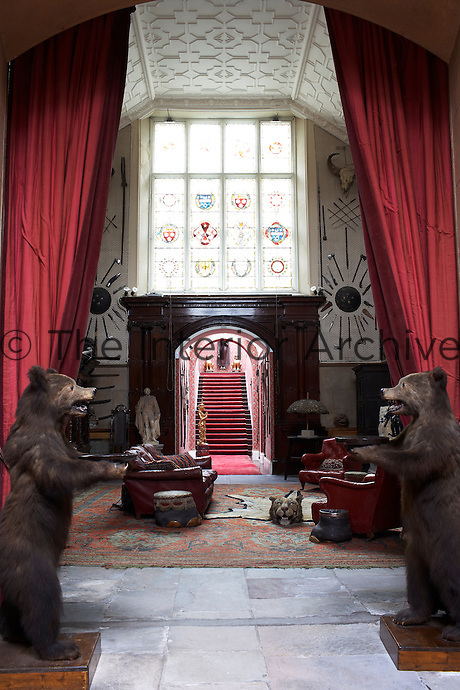 The dramatic entrance to the inner hall with deep red curtains and a pair of stuffed bears, acquired by the 1st Marquess, guarding the way to the baronial-proportioned space. The stained glass window represents the arms of the families linked with Clandeboye.